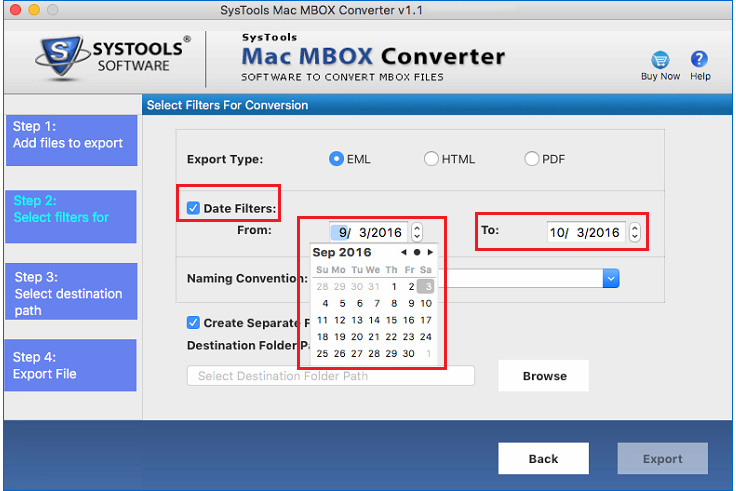 MBOX converter software helps user in exporting MAC MBOX to Outlook 2016 PST file. You just need to add MBOX file to the software and It will convert all the emails of MBOX file along with its meta data. Not Only MBOX to Outlook PST, It also Converts MBOX to EML by creating separate .eml file for each mail item. Software enables you to maintain the folder hierarchy after conversion from MBOX to EML file. 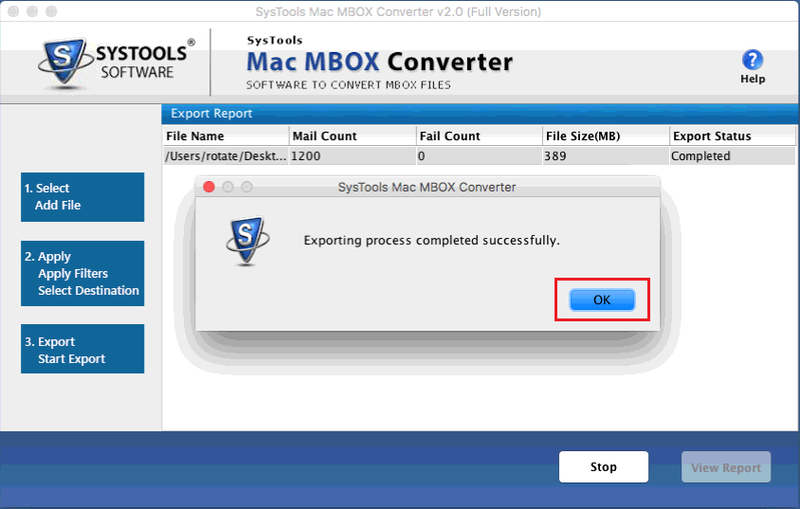 The MacWareTools MBOX converter allow you to export MBOX email to HTML file format. The software creates a separate .html file for each email of MBOX file and maintains the folder hierarchy. 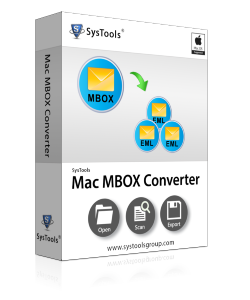 This MAC MBOX file converter specially designed for users requirement. Thus the software allow you to convert MBOX file to PDF format. Software will create a separate PDF file for each mail of MBOX file. 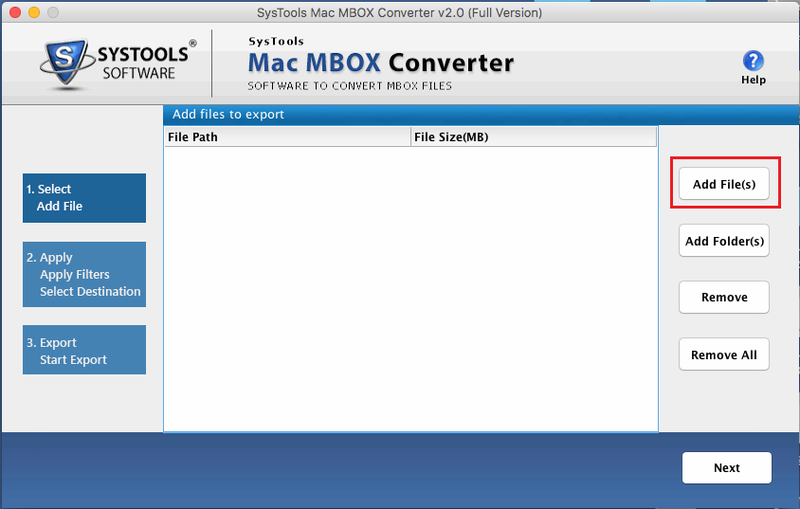 The MAC MBOX converter is an Industry Standard tool. Hence, It fulfils the business requirement of users by converting multiple MBOX files to desired formats and also maintains the meta data of emails accordingly. If the system has spacing issues, The software allows you to export the desired emails from MAC MBOX to EML, PST, PDF & HTML format. For this you just need to select the date range from From to To. The MAC MBOX file converter is fully compatible with latest MAC OS 10.13. Also the software is capable to support the previous MAC OS 10.12, 10.11 & 10.10. I purchased it for MBOX to PST conversion, I didn't think that my emails can also be viewed in HTML format and reading MBOX emails in HTML format is pretty simple. 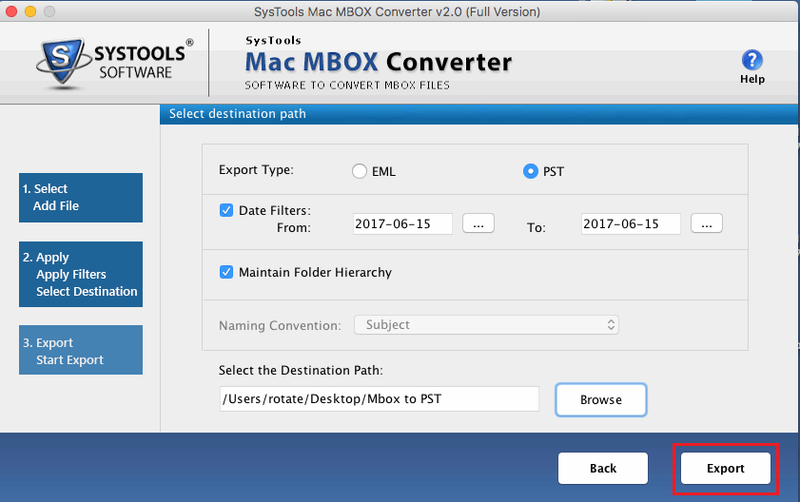 There were a need of such MAC MBOX converter in my organization, where we have to analyze multiple MBOX files. This tool has amazing feature of performing such task. I am much appreciated with MacWareTools MBOX file to PST, As it does what it says. I had to export data into PST format of a specific date range. 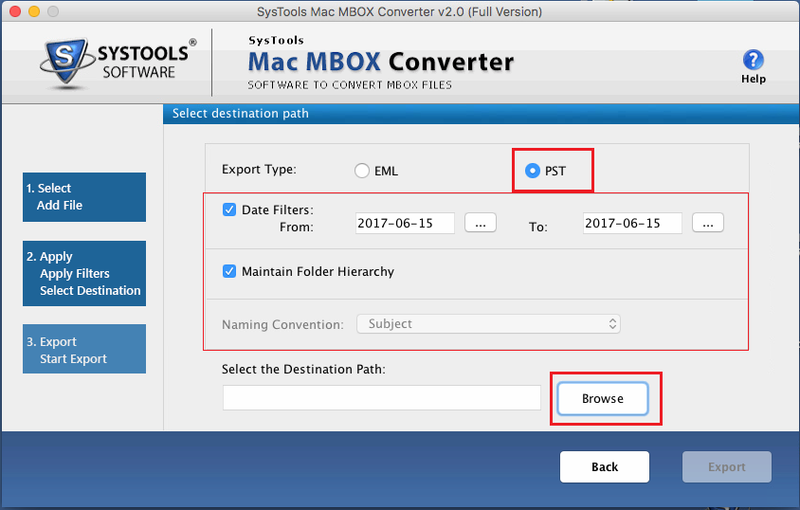 Demo version of MAC MBOX file converter enables you to export 25 items from MBOX to Outlook PST, EML, PDF & HTML. How can I convert MBOX to EML, PDF, PST & HTML with this software? 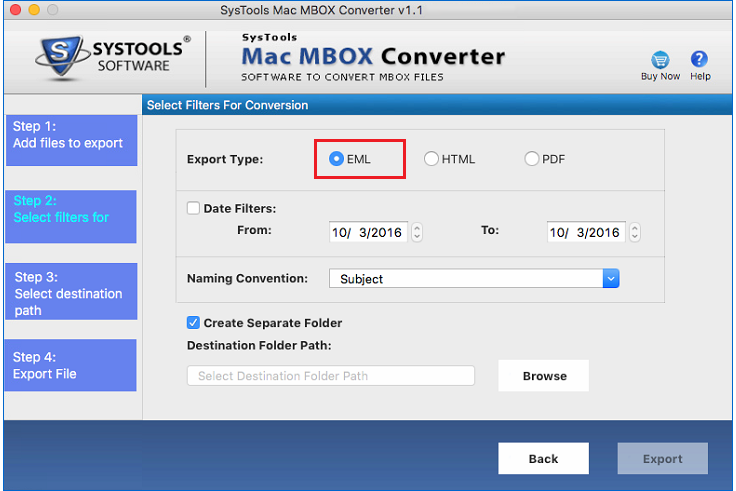 Will this MBOX Converter for MAC extract EML Files in a separate Folder? Yes, software quickly exports MBOX to EML file in a separate folder and also maintains folder heirarchy. 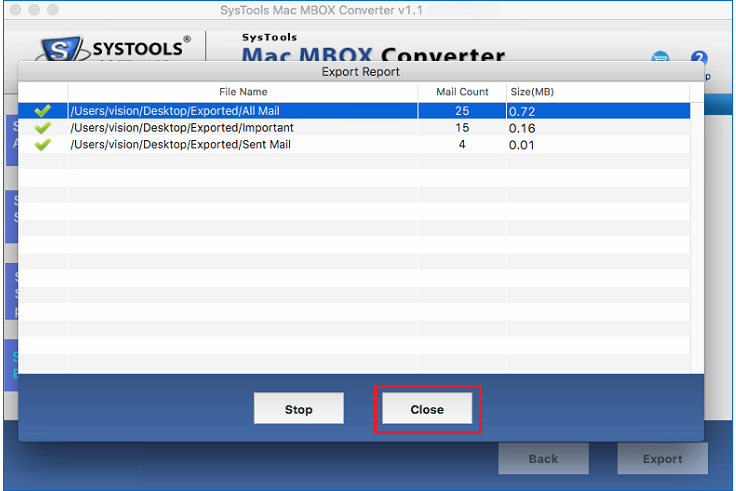 Is MAC MBOX to PST converter exports multiple MBOX files to a single PST file? Yes, the software easily exports a batch of MBOX file to a single PST file. Can I export emails from MBOX file of a selected date range? 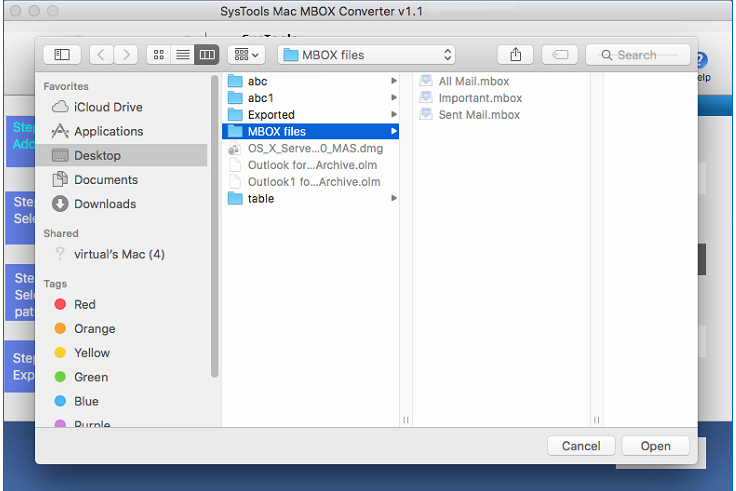 Yes, Mac MBOX converter exports the emails of specific date range. Does this tool supports to run on MAC OS? Yes, the Software easily runs on latest MAC OS 10.13, 10.12, 10.11, 10.10. Does this software maintains the header information after conversion from MBOX to EML, PDF, PST, HTML? Yes, MAC MBOX to PST converter maintains all the header information of emails like To, CC, BCC, etc after conversion.